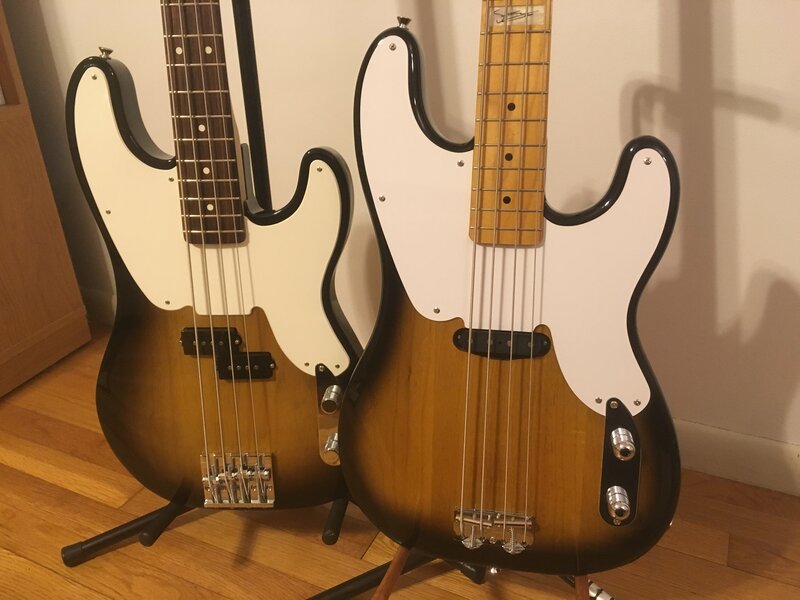 I bought a Fender Sting model years back and it has been my sole bass for years. In that time, I grew fond of the '51 styling and started to look back at the (now discontinued) 1st edition non-roadworn Mike Dirnt Fender. Yes, it's a different beast, but it is styled similarly. Well I finally found one at a price that I was happy to pay on Reverb and I now have (what I feel is) a perfect companion for the Sting. I had a real Sting bass-- '56 gotten from original owner. 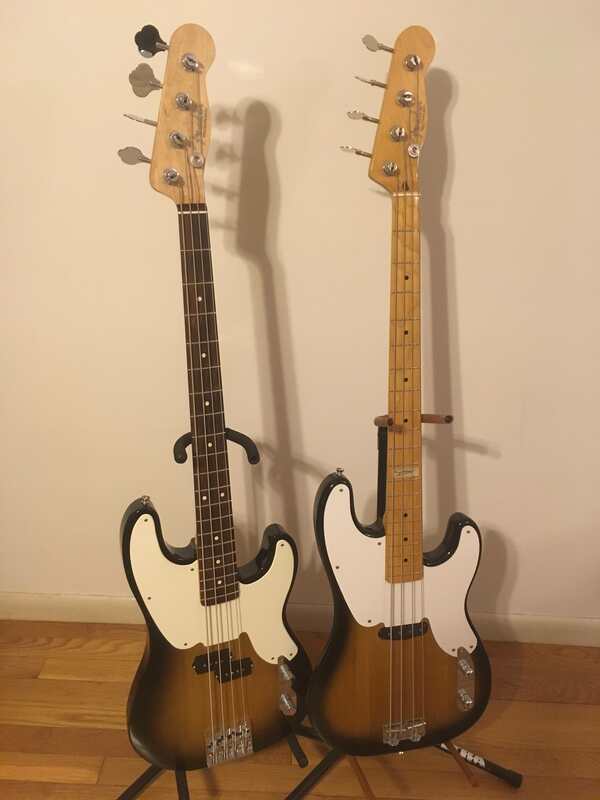 On one side is/was world's cleanest '69 Telecaster bass.. just the most pristine case queen, and then on the other side was P-Bass #0186. Yep it rained these cool basses and a few others back like 20 years ago.